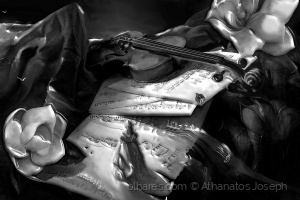 Wherever you are listen to what my musical notes mourn for you. My tears run in the sheets of music, of my song that echoes through the road of the light and wind, that goes to meet you! Then, look at the light and listen to the wind and come to me!